FlowForma®, the leading provider of Process Automation tools for Microsoft Office 365®, today announced that Nipro Europe Group Companies (hereafter Nipro Europe) will implement the award-winning FlowForma Process Automation tool. Nipro Europe, headquartered in Belgium, is a subsidiary of Nipro Corporation Japan. As a leading global healthcare company, Nipro is a total solution provider of medical devices, pharmaceutical drugs, and pharma packaging. For over 60 years, Nipro continues to build long-term meaningful partnerships with healthcare professionals to ensure the highest degree of patient safety and quality of life. Advancing its already large portfolio, Nipro Europe spans the markets of renal, hospital products, diabetes, enzymes IVD, and pharma packaging. In addition to Nipro-branded products, Nipro Europe also provides OEM (original equipment manufacturer) solutions to some of the biggest names in the medical field. 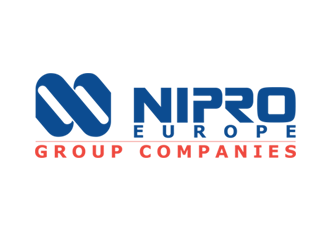 In order to enhance the overall experience of its customers, Nipro Europe will move their business processes online. By digitizing their Field Sales Process, employees can capture information with immediacy, thanks to forms available via SharePoint desktop, mobile, and offline. With workflows in place, actions will become automated and greater visibility achieved. “As Nipro Europe continue to influence and impact the lives of its customers though its cutting-edge medical devices, it’s important that their workforce spend their time liaising with healthcare staff. With FlowForma Process Automation, Nipro employees will have transparency around customer engagements and increased productivity across their site,” commented Keith Lally, Chief Sales Officer, FlowForma.